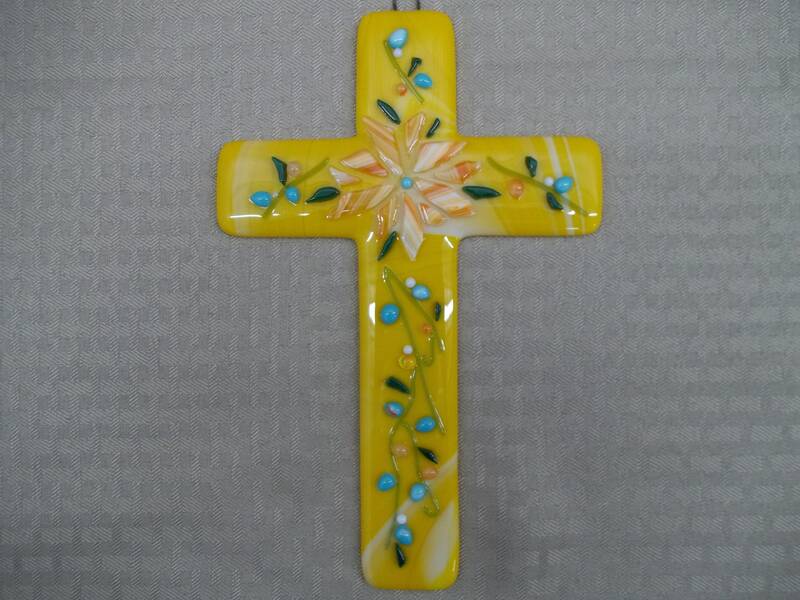 Measuring 9" x 6" this beautiful cross will stand out in any room. 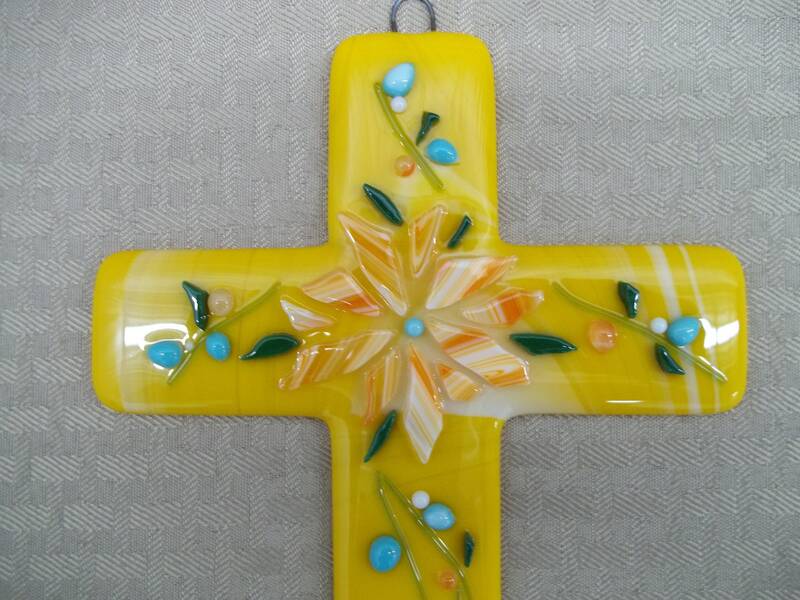 This fused glass cross was handcrafted with yellow opaque glass and accented with white, blues, oranges, and greens. 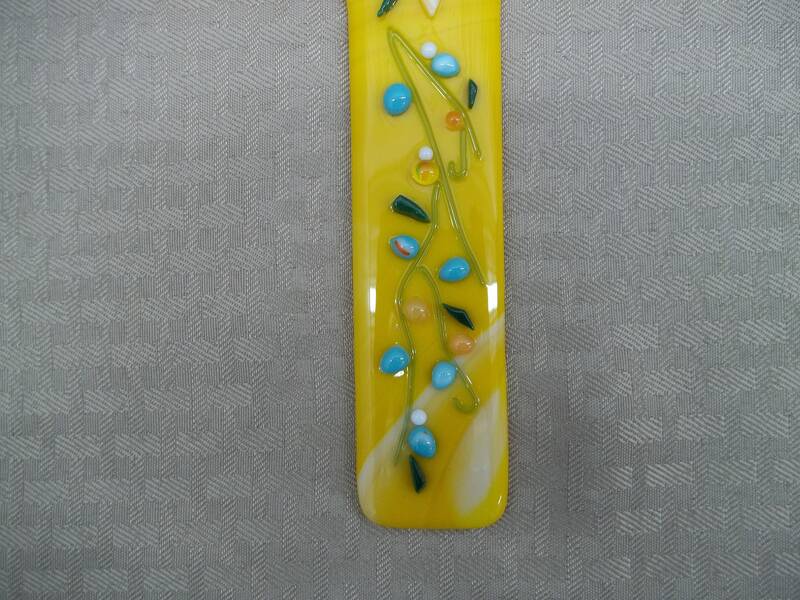 This is an original one of a kind creation. There is a hook fused into the top for easy hanging.